In London, a 24 floor tower with more than 400 inhabitants caught fire, an enormous fire whose images where seen all over the world. A few days later, in the midsts of a heat wave, 64 people were killed when the forests of Portugal were set ablaze. These two fires of course were not directly linked. Nevertheless, they have often been presented by the bourgeois media as tragedies, as something “sad but couldn’t be helped” with sn accidental fire in London and a simple natural disaster in Portugal . We must beware the term of “natural disaster”. If cyclones, typhoons or even droughts belong without a doubt to natural disasters, capitalism only aggravate its effects. 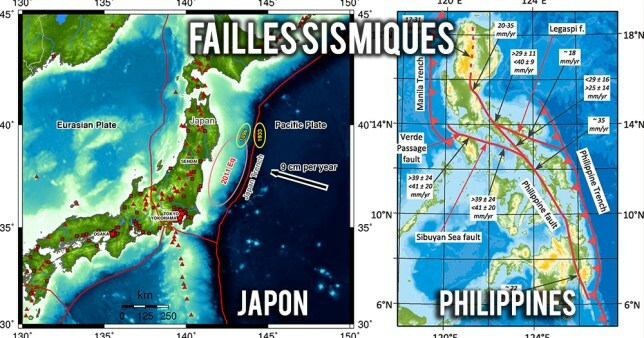 For instance in the case of two countries located on major seismic faults, Japan has far fewer victims in the event of earthquakes or typhoons than the Philippines. This is due to the nature of these two countries and their relationship to imperialism. Japan is an imperialist country with a highly developed capitalist economy, and its buildings have solid anti-seismic foundations. This does not mean that the capitalist mode of production doesn’t have extremely damaging consequences in the event of natural disasters. This was seen in the typhoon of 2012, notably with the Fukushima nuclear power plant: the Japanese bourgeoisie turned largely to nuclear power as a source of energy – despite the obvious danger posed by geographical conditions, some nuclear power plants have even been built next to volcanos (such as reactor 1 of the Sendai power plant located 50km from the Sakurajima volcano, one of Japan’s most active volcanos). The Philippines is a semi-colonial semi-feudal country. Natural disasters cause massive damage to both human and material resources. This is due to the fact that many slums are located near the seas and rivers. The imperialist exploitation of the country has the effect of intensifying the consequences of “natural disasters”. The massive deforestation caused by imperialists destroyed an important natural barrier, which was particularly felt during typhoon Pablo in Mindanao in 2012. What does the fire of London’s Grenfell Tower tell us? The fire of the Grenfell Tower on June 14 caused the death of at least 79 people, wounding 74. It was the most deadly fire in Britain since the end of the Second World War. It took more than 60 hours for the fire to finally be extinguished. Today it is known that the origin of the fire was a defective refrigerator. But the real question is how such a fire could spread at such speed all the way up the tower? This 24 floor tower in the North Kensington district was an important social housing complex with 127 apartments and 227 rooms, built in the late 1960s. It was the home to more than 400 residents, mostly proletarians, many of whom were migrants. Although residents have long complained about the precariousness of the building (including inadequate fire protection systems, inadequately protected gas pipes, and flammable materials), particularly at the borough council, their warning cries remained unheeded. One of the reasons for the rapid spread of the fire was the insulated coating put in place during renovations between 2014 and 2016. A strange renovation turned the tower into a real torch. This type of renovation is also well known in France in the working-class districts. There are the layers of paint on our bars and towers that aim to hide the misery that is inside. It is to look clean in areas open to incoming gentrification. What is Gentrification? To put it simply, it is policies to replace the proletarian population of a neighborhood by upper classes. The North Kensington neighborhood is a perfect case, with the construction of Kensington Row’s luxury residences, which include a private cinema in the complex and a 24-hour concierge service! Gentrification is inherent to capitalism. 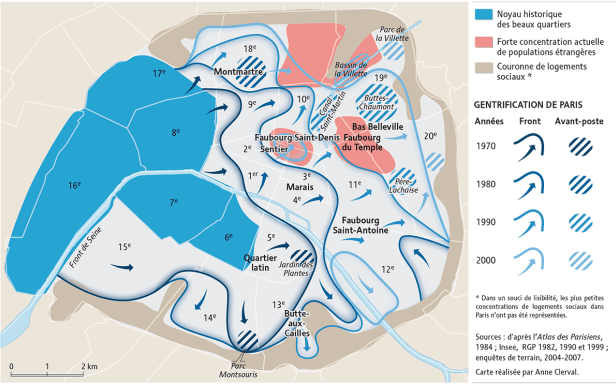 The same phenomenon is found in Île-de-France with the famous “Greater Paris”. A “Greater Paris”, was the suject of a lot of marketing, explaining to us that the suburbs would have better access to public transport. But in reality, all the suburbs near Paris are gradually being gentrified by policies of so-called renovation, urban rehabilitation or the construction of pseudo-eco-neighborhoods. This is particularly visible in cities like Montreuil or Saint-Ouen. 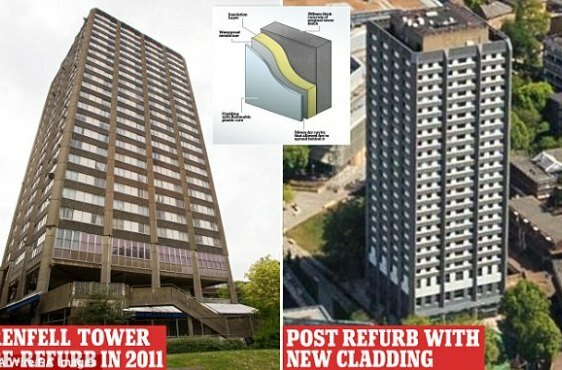 In the United Kingdom, according to Prime Minister Theresa May herself, it is estimated that 600 towers have the same insulated coating as the Grenfell tower. These are all potential torches! In France the situation is not less alarming – how many HLM are there where fire alarms do not work, where there are no fire extinguishers or insufficient quantity? How many social housing units in our neighborhoods are unacceptably unhealthy? Rotting homes are in addition to many poorly housed and homeless. The struggle for housing rights is therefore a neccesary struggle to be pursued everywhere. After the fire, a great burst of solidarity took place around the case. Solidarity came directly from the masses who immediately opened their doors to the victims of the fire, who prepared food and gave stuff to the victims. For instance, a filipino workers organisation, the Filipino Domestic Workers Association, organized help immediately for the evacuees in a church near the tower by providing food, clothing, toys for children and all kinds of basic necessities. In addition to people’s solidarity, in the face of such an injustice, mobilization was quick to demand the truth about the reasons for the fire and to denounce unhealthy housing. Thus, on June 21, the first demonstration, Day of Rage, was organized. What do the fires of Portugal tell us? Three days after the burning of London’s Grenfell tower, Portugal ignited on June 17, with a forest fire in the Pedrógão Grande municipality. The fire, which lasted until June 22, killed 64 people and left at least 254 wounded. 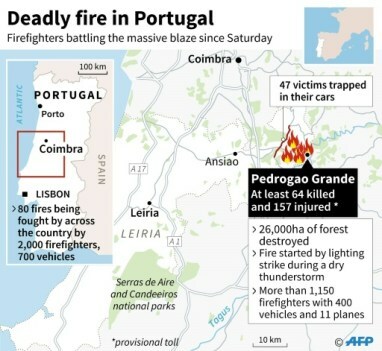 This fire is the most deadly natural disaster in Portugal’s recent history. The reasons for this fire include the combination of a strong heat wave with temperatures above 40 degrees and a dry thunderstorm. But again, we must not limit ourselves to the natural causes of the fire, we must understand how it was able to spread so quickly and be also cause so many fatalities. One of the reason for the rapid spread of the fire is in the important eucalyptus monocultures used primarily in the paper industry. Indeed, plantations of eucalyptus ignite very easily. These eucalyptus plantations have seen a boom in Portugal since the 2008 crisis. The Portuguese bourgeoisie, faced with the crisis of capitalism, chose to liberalize and dismantle its forest protection services (in Portugal more than 90% of forest land is private) to extend the massive cultivation of eucalyptus that began in the 1980s in Portugal. Eucalyptus is an environmental disaster for Portugal – coming from Australia it has largely replaced local trees and now covers 900,000 hectares, which represents a quarter of Portugal’s forest territory. The fire hazards associated with the cultivation of eucalyptus in Portugal have been known and studied for a long time – there is no shortage of scientific publications on this subject and yet no serious measures have been taken to deal with it, for the simple reason that this is a particularly lucrative industry for a country that has been hit hard by the 2008 crisis. The Portuguese bourgeoisie has deliberately jeopardized the lives of the rural population who live surrounded by these eucalyptus trees in order to preserve and increase profits! During natural disasters, revolutionaries must not wait for authorities or NGOs to act – they must take the lead and put themselves at the service of the people in order to develop genuine people’s solidarity. We must not let the victims of natural disasters simply wait for their torturer’s help. We must encourage mutual aid and solidarity, we must point out the responsibility of the bourgeoisie and its criminal attitude towards the people. First of all, it is necessary to help the victims of disasters by all means, by promoting and developing people’s solidarity at the base, and then pointing the finger at those responsible, the capitalist system and its agents, and mobilizing to demand justice and reparation. Capitalism is incapable of coping properly with natural disasters because of the anarchy of production and the political power monopolized by the bourgeoisie. Capitalism greatly aggravates the effects of natural disasters through its totally unequal development of land and by the precarious living and living conditions it imposes on the proletariat. Whether it be natural disasters (typhoons, fires, floods, etc.) 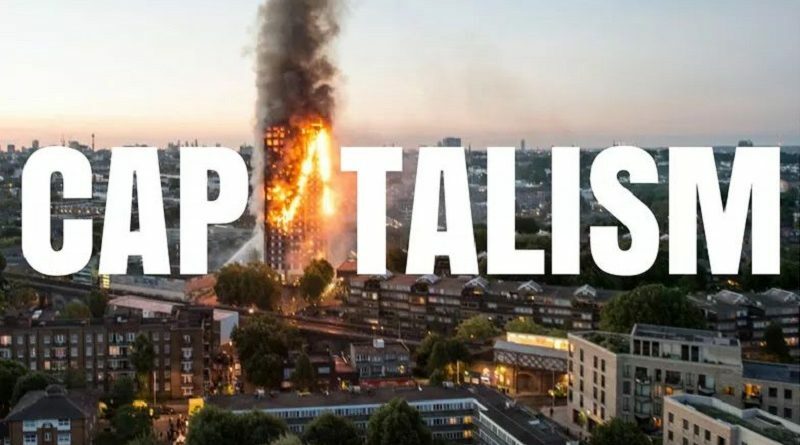 or industrial catastrophes (as in AZF, Bhopal or Tianjin), imperialism and the capitalist mode of production play a criminal role against the working class and the oppressed people who are the first to be affected. Thus, only the revolution and the construction of socialism will make possible to establish a system that will really take into account the security of all people in the face of natural disasters. Only a system which is not based on the search for maximum profit, only socialism and the dictatorship of the proletariat will enable the establishment of a planned economy that truly takes into account the interests of the people. 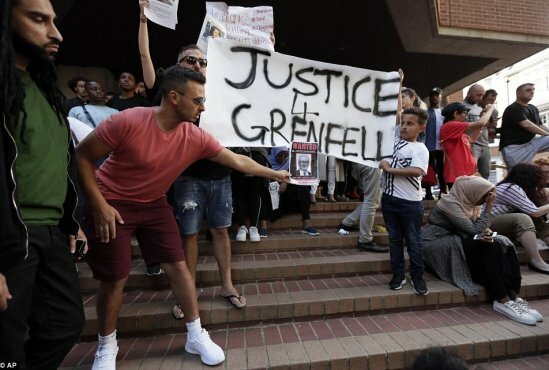 Justice for the victims of Grenfell and Pedrógão Grande! Down with the world imperialist system! Long live the proletarian revolution!